The conversations I had with other students outside class were instrumental to my learning. Amy Bugno is the Associate Director for Career Development at the Kenan-Flagler Business School at the University of North Carolina at Chapel Hill. 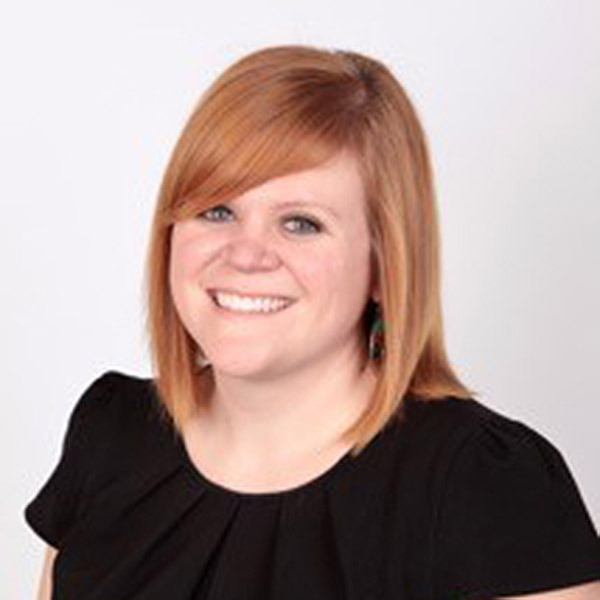 In this role, Amy oversees the career advising and programming for undergraduate business majors and minors. She manages a team of career professionals who are focused on helping students understand opportunities in the business world and build skills and competencies to launch successful and impactful careers through individualized coaching and targeted experiential learning. Amy also works with faculty to infuse career development into the academic curriculum, and as a member of the Undergraduate Business Program's leadership team, collaborates with leaders from academic, global programs, and admissions departments to provide a comprehensive and transformative experience for students. Prior to attending Peabody, Amy earned her B.A. in Journalism and Mass Communication from UNC-Chapel Hill and worked there in Development and Alumni Affairs for four years. After graduating from the HEA program, Amy worked in various career-related roles at both Vanderbilt and Duke University. I came into Peabody knowing that I was very interested in professional development, having helped students connect with alumni in my previous role. Even though I had that interest, however, I wasn't sure exactly how it would translate into a specific job. Through my graduate assistantships and practicum experience, I was able to gain great hands-on experience that allowed me to practice coaching and learn a lot more about the field. My coursework provided an excellent foundation for the work I was doing with Vanderbilt students, and I know that there's no way I would be where I am at a relatively young age without my Peabody education. One of the things I liked most about the HEA Program was the flexibility in coursework. As a student, I was able to take classes in student affairs, enrollment, policy, and even some counseling courses outside of the curriculum, and I think that diversity of thought really positioned me well for future employment. The program is set up in a way that allows you to learn not only from your professors in the classroom, but also from your peers who have a great range of experiences and knowledge. The conversations I had with other students outside of class were instrumental to my learning and truly prepared me to be a professional in this field.